It’s hard to believe, but the 2019 Trivia Night is only days away! If you haven’t purchased your tickets for this fun, exciting and crime trivia-filled evening, NOW is the time. As tickets are sold in advance, none will be available at the door. You don’t want to be disappointed! To get your tickets go here. You don’t have to be an expert on crime trivia, as there are plenty of pop culture and human interest questions as well. Bring a team of two or four, and if you feel so inspired, dress in costume to qualify for prizes. 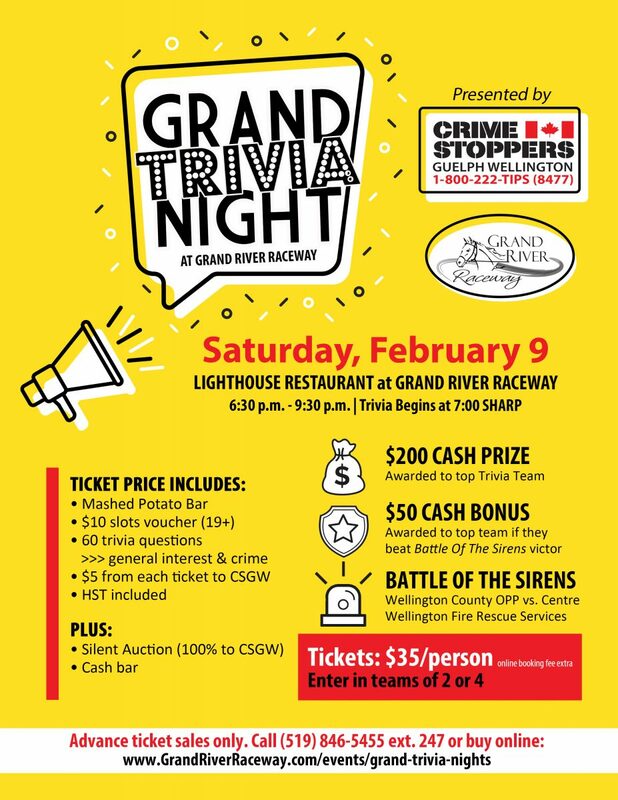 For the $35 entry fee, $5 goes to Crime Stoppers Guelph Wellington. You also receive a $10 slots voucher to use next door at the Elora Slots, and unlimited trips to the mashed potato bar. 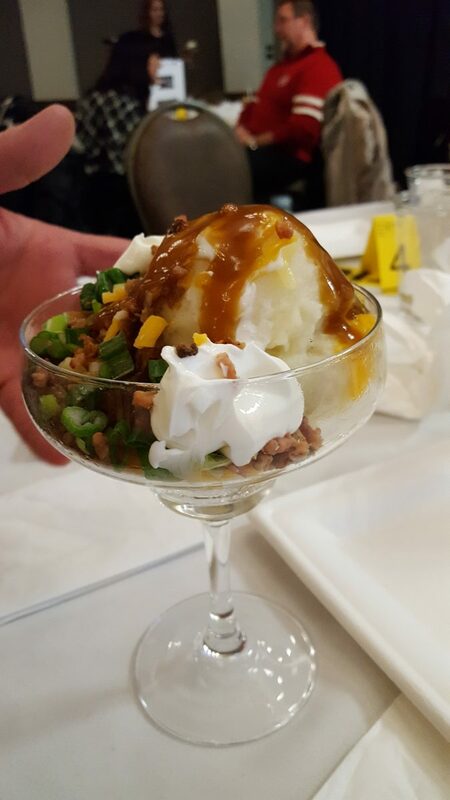 If you haven’t been to Grand Trivia Night before, you should know that the mashed potato bar is legendary! It truly is a meal in and of itself! 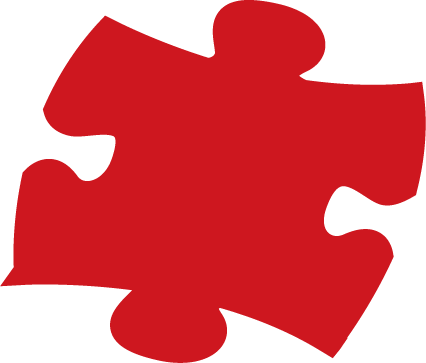 Along with three rounds of trivia, there are fun and interactive elements that allow you really get into the action. 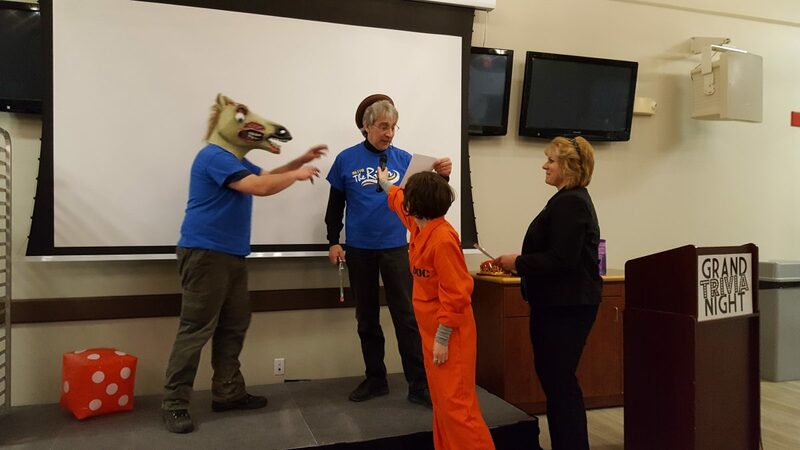 You just never know what will happen at Trivia Night, but we can guarantee you’ll have so much fun, it should be criminal! 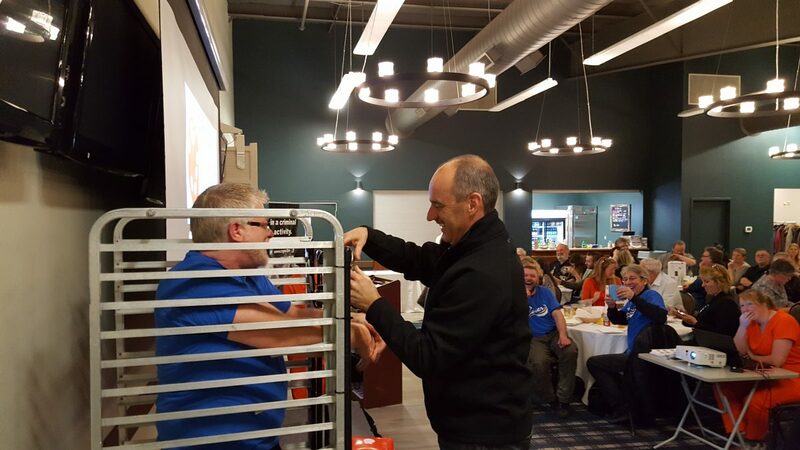 Inspector Scott Lawson secures Rob Mattice, General Manager of 88.7 The River, and CSGW Board member, into the “jail cell”. While teams will vie for top spot on the points board, Wellington County OPP – led by Inspector Scott Lawson will face off against the Centre Wellington Fire and Rescue Service – led by Fire Chief Brad Patton, in a new competition – the Battle of the Sirens. We’ll see who is “tops” in trivia between these two local community services. If you have your tickets, thank you for supporting CSGW and we look forward to see you Saturday night. If you don’t, what are you waiting for?